Big News! 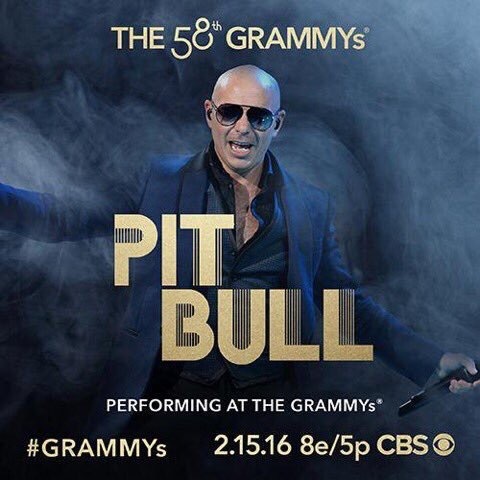 Pitbull is set to perform at the 58th Annual GRAMMY Awards on Monday, February 15th at 8e | 7c | 5p! The GRAMMYs announced on Twitter earlier today that Mr. Worldwide has been added to the star-studded list of performers at the upcoming award show! Other performers include Adele, Kendrick Lamar and Justin Bieber. 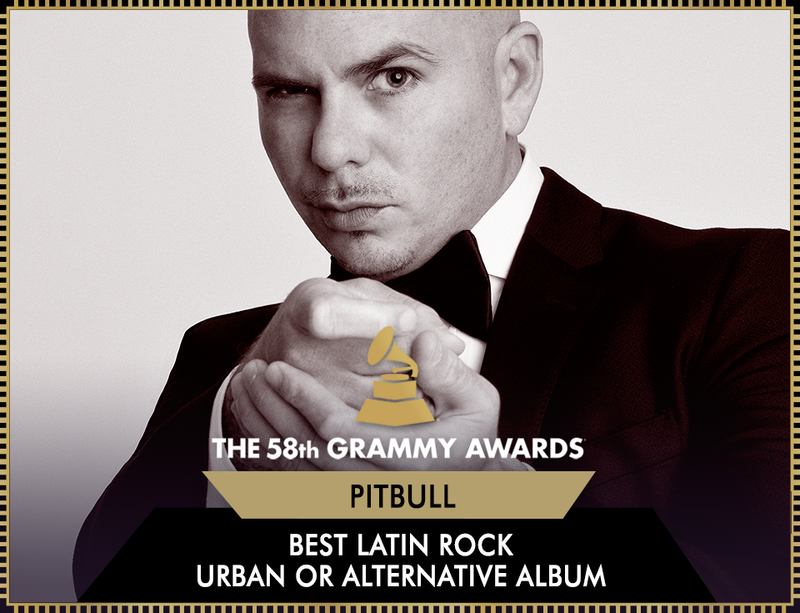 Pit’s last studio album, Dale, is also nominated for Best Latin Rock, Urban, or Alternative Album! Which is his first ever American GRAMMY nod! Make sure to tune into CBS at 8et | 7cst | 5pt to catch the 58th Annual GRAMMY Awards! Once again, huge congratulations to Pit & Team Pitbull!